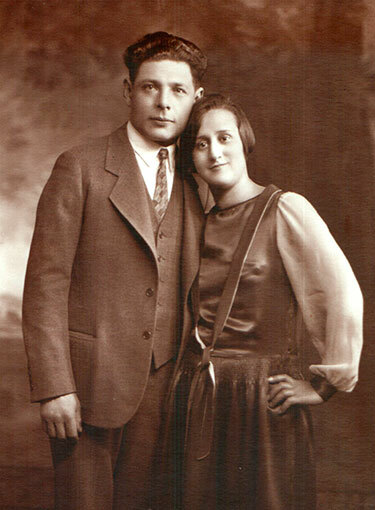 Eighty Years, and 3 generations later, Zabar's family business is still going strong. 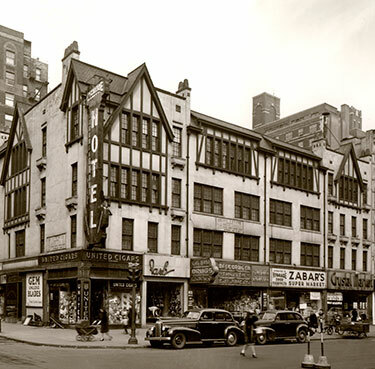 back in 1934, opening a 22-foot-wide shop along NYC’s Broadway at West 80th Street. Louis was a real stickler for quality, roasting his own coffee, and personally visiting smokehouses to sample and inspect the fish – rejecting far more than he accepted. The principles and practices of our founder and father continue to guide us: Respect the customer. Never, ever stint on quality. Offer fair value. And last but not least, keep searching for the new and wonderful. Over the years, the business kept growing, and today we span practically the entire block front. With our sons, daughters and their cousins, we’re still at it – hand-slicing meltingly delicious smoked fish behind our deli counter…offering tastes of the latest artisanal cheeses…setting out fresh-baked batches of rugelach (it’s our Bubbe’s recipe)…overseeing the roasting of our special coffee blends (we sell 400,000 pounds a year!) Retire? Not on your life – we’re having too much fun! As Louis taught us, to succeed as a family business, you have to love each other, and love the business – in our case, great food, great service, great prices, great folks. We ask you, what’s not to love?! Here’s to another 80 years, and then some! Heartfelt thanks for your patronage. 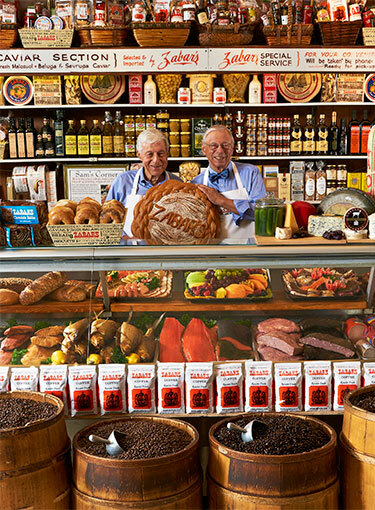 Read more about Zabar's 80th Anniversary Celebration.